DemonFae are vain, mischievous, sneaky, irreverent, and cause no end of distraction. Lucky for them, they’re adorable, or they’d be getting hit with flyswatters! This piece is made using the same construction techniques as our other patches, so feel free to stitch it onto a bag or a jacket if you like. However, it truly is a work of art, suitable of framing and hanging on the wall alongside your other Marrus prints! 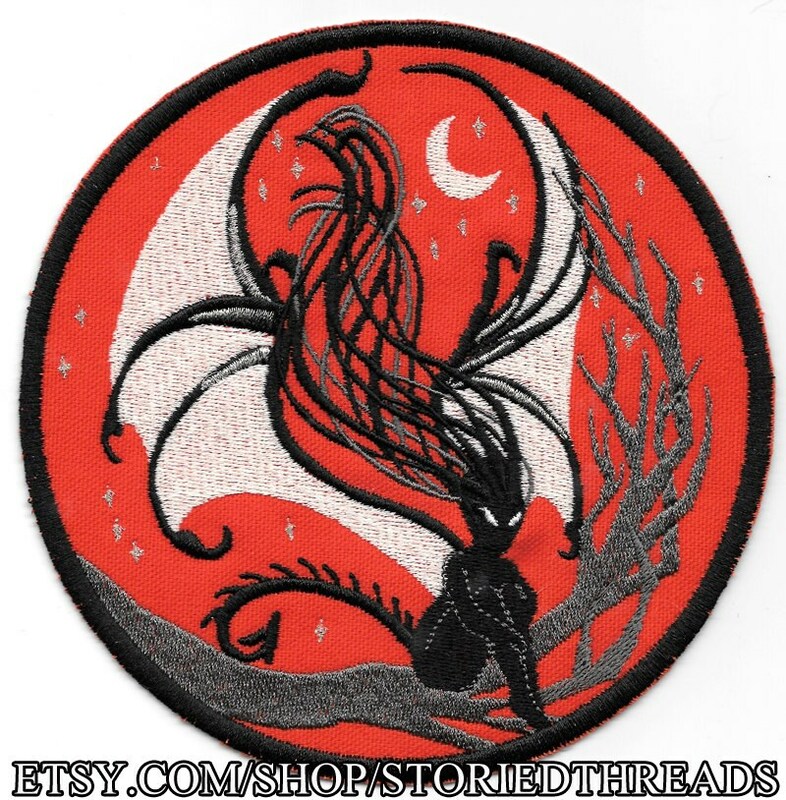 This sew-on patch is stitched on cotton canvas in your choice of colors, and features accents in metallic silver. It measures approximately 6.25" in diameter. Design (C) 2016 Storied Threads/Veronica Bailey and MarrusArtStandard shipping for all items is by First Class mail and does not come with tracking information. If you wish to add tracking, please ask (an additional charge may be necessary).